After spending 3 years performing on my own, in 2010 First Bass Disco was born, which allowed me to focus my efforts on attracting new audiences and give me the opportunity to provide that tailored one-on-one experience that people love. Now no longer a one man band, the First Bass Disco roadshow saw continued growth year on year, pushing the envelope of what I thought was possible the day I started. 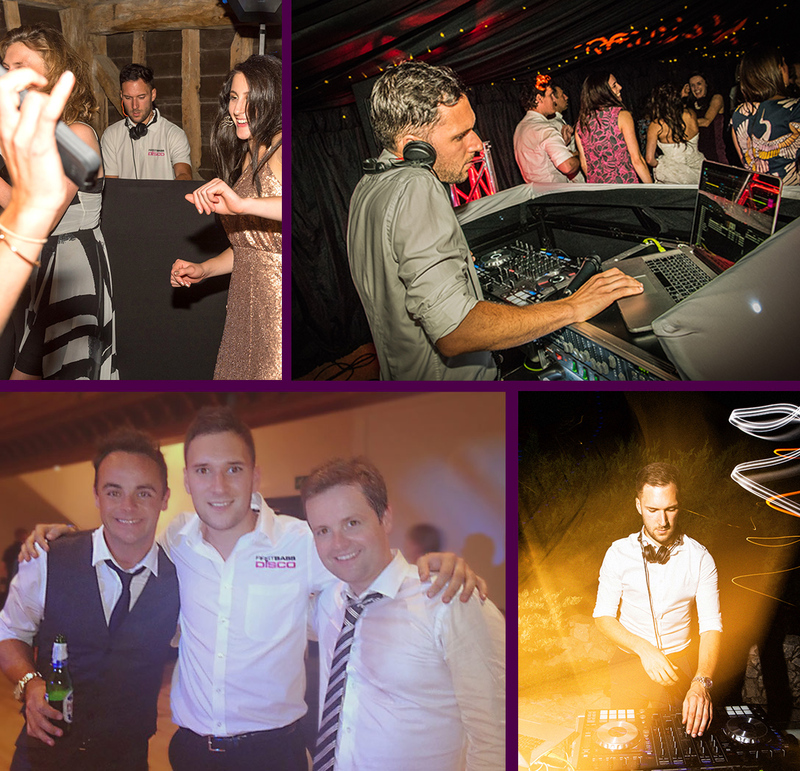 Weddings and corporate parties are now a backbone of the brand, touring the East of England to entertain guests week in, week out. We love to get to know each and every one of our customers; swap creative ideas, discuss musical themes and learn about people's likes and dislikes. Every event is different, no two weddings are the same and the evenings entertainment needs to reflect this. Therefore customising each event around the needs of our customers always takes centre stage, whether it be a New Years Eve party for hundreds of guests or a gathering to celebrate an important milestone, each occasion is approached with meticulous attention to detail. Finally, making people smile and laugh is what this is all about. We are here to provide the theme to those life changing moments and create the memories you will cherish for years to come. So for a truly unique experience come and be a part of the First Bass Disco story and make your occasion one you'll never forget. Website designed by Magic Beans Design & Marketing.